Ash Wednesday may be only one day of Lent, but the readings from that day should be remembered and reflected upon, and not just during Lent. The themes of internal conversion and avoidance of hypocrisy are for every day. It’s always striking to hear the scripture readings on Ash Wednesday. On a day that we place a visible sign of our faith, directly on our faces, we are told by Jesus not to do such a thing. How does this line up with our actions? The Gospel reading clearly says to wash our face and not to pray in public, but is this a complete prohibition on public prayer? This is why the first reading is so important, especially today. In the first reading we see a call for repentance, a conversion of heart towards God, and away from sin. “Yet even now,” says the LORD,”return to me with all your heart,with fasting, with weeping, and with mourning; and tear your hearts and not your garments.”Return to the LORD, your God,for he is gracious and merciful,slow to anger, and abounding in mercy, and repents of evil. God is imploring the people to return to Him, with their whole heart. “Tear your hearts not you garments,” this means an actual inward conversion of the heart, the kind of conversion we are called to throughout the Gospel. The end of this verse is one of the two formulas used during the imposition of ashes. It reminds ours of the need for conversion, and it’s so important that I can’t stress it enough. “Repent” is the English translation of the word Metanoia, and it means much more than just saying sorry. It means to change ones heart, to turn from your ways, and that’s the message that God is giving to the people through Joel, and through the scriptures to us. Return to Him, have a conversion of heart, have a change from your former ways of doing. So what does this all have to do with ashes, and why do we receive ashes on Ash Wednesday anyway? Ashes are not placed on our heads to indicate our holiness, they actual point to our sinfulness and our willingness to turn back to God. Lent is a time of spiritual renewal, a time to reorder our lives to the way God would have us live. So in reading today’s Gospel, when Jesus says to pray in private, and to not appear as if we are fasting, He is telling us to do everything with proper intent. If we pray over our meal at a restaurant, because we want to thank God for the gifts He has given us, then that’s an acceptable and worthwhile thing to do, but if we do it to get attention from fellow patrons and appear to them to be holy, then we are doing exactly what Jesus says not to do. 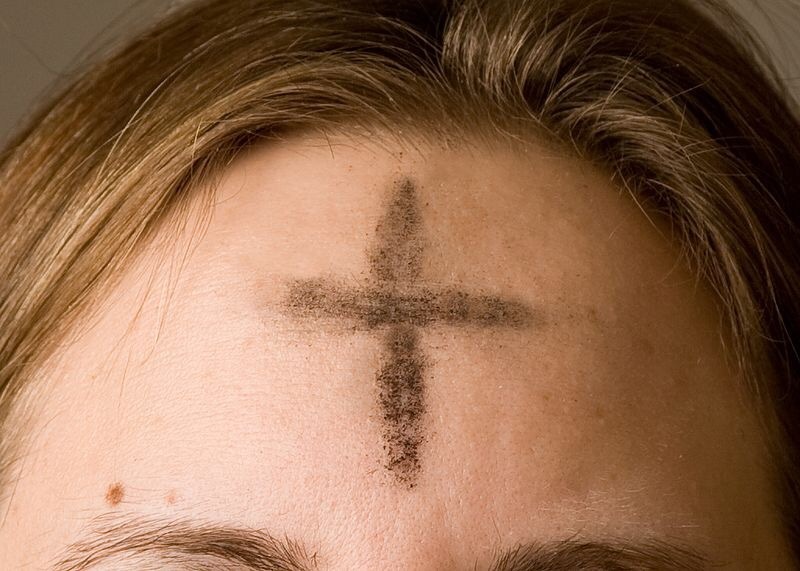 So when you see someone with ashes, and when you yourself receive ashes, remember we are all sinners and this is just an outward sign of our inward conversion. Because without the “tearing of our hearts,” our ashes are nothing but dirt on our faces. Remember, you are dust and to dust you shall return. This entry was posted in All Posts/Archive, Apologetics, Bible, Catholic Life, Uncategorized. Tagged ashes, ashwednesday, catholic, church, Jesus. Previous Post Previous post: Question; Pray to Jesus or The Saints?